The Waltonwood Cotswold team understands that providing comprehensive and quality care for those with dementia requires a special understanding into the daily difficulties associated with memory loss, and we want your loved one to feel understood and cared for in a safe, comforting atmosphere. Our compassionate and individualized care helps improve residents’ quality of life by supporting their physical, emotional, and intellectual needs. Waltonwood’s caring support staff helps residents adapt to their changing life through communication and assistance for those with memory impairment, thereby allowing them to carry on a meaningful life. Our Memory Care life enrichment coordinator creates a calendar of daily and monthly activities involving individual programs and small group activities that encourage participation in social interaction. The goal is to restore a resident's sense of self and help them overcome the fearful anxiety of memory decline. 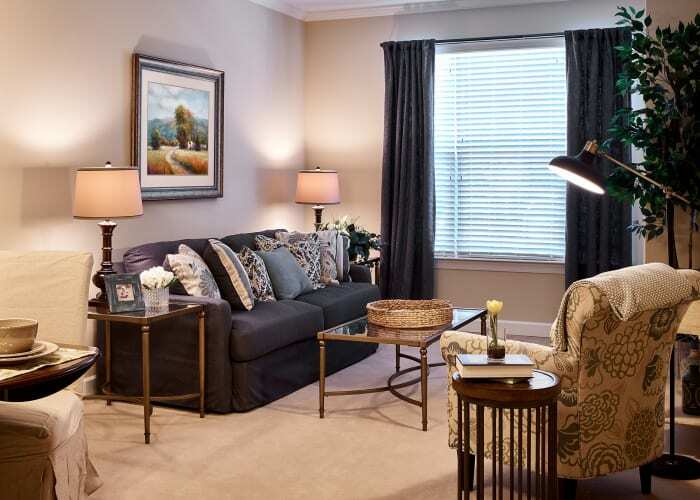 Cotswold works with the resident and family members to tailor a person-centered service plan that preserves those familiar patterns and everyday settings, further aiding in stress reduction and overall agitation. An on-site nurse manager monitors resident service plans and supports health and wellness goals. Our staff also participates in specialized dementia training to better understand its complexities and better serve our residents. 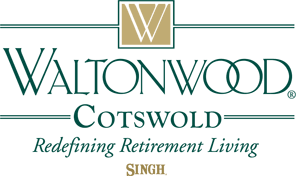 Waltonwood Cotswold provides an intimate and comforting ambience through pleasant and peaceful multisensory experiences, allowing our residents to relax and feel secure within their environment. Our Sensory Retreat also offers residents a relaxing way to engage in memory-aiding sensory stimulators, sound machines, and relaxing images (waves, trees, etc.) projected onto walls. Personalized room ledge and memory box outside each apartment to assist in residents' association with their home. Inviting and safe outdoor courtyards for gardening, bird watching, or simply enjoying the outdoors.